SubKulture Patriots clearly left an indelible mark on the Texas hip-hop scene, and the waves of their creation continue to have impact to this day. Case in point is the recent offshoot group known as 5-D (RuDi Devino and HBZ). Together with producer Bronze Whale, the crew is set to make some noise that may cross genre boundaries in a way that is sorely needed right now for the hip-hop culture to continue to thrive. Shrubbery is an uptempo ode to everyone’s favorite downer, laced with a bit of lyrical gymnastics to give it heavy replay value. I’m definitely looking forward to integrating this one into mixes, and you should be getting your like/comment/share on so that 5-D and like-minded groups can thrive. Austin-based wordsmith RuDi Devino has been having a good run. After finding success with SubKulture Patriots and Retr0gRaDe, he is continuing to find success as a solo act. Enter CAPYAC, who have enlisted RuDi for a guest verse on the extremely catchy Fade Out. The guest verse got merc’d, and hopefully, this will lead to bigger and better things for all parties involved. Here’s to local artists continuing to make big moves and improving their status. On one of my daily content searches, the homeboy HBZ Brown from SubKulture Patriots dropped a link for an Austin emcee I was not familiar with by the name of Salvasquared. 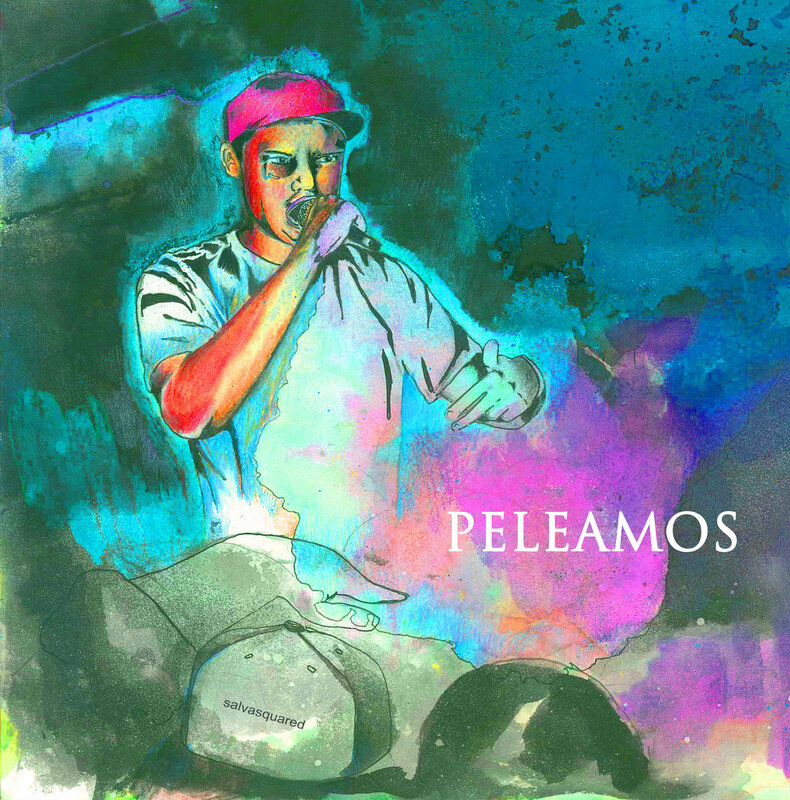 The artwork for Peleamos was dope, and upon further investigation, I realized Salvasquared was down with Click-Clack, which is always a good sign. You should definitely give Peleamos a listen, a share, and maybe even a buck or two. Very solid listen, very refreshing change of pace from the norm. This is EASILY the most entertaining music video I’ve seen in years. Well thought out, well executed, and overall dope. SKP does it again!